SKU: 1x3" ALUM NAME PIN-02. 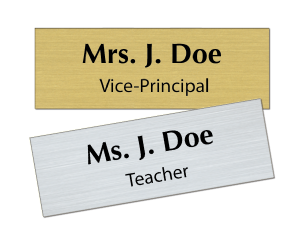 Category: Custom Name Pins. 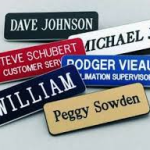 Our standard aluminum name pins measure 1 inch by 3 inch and are available in multiple color options. 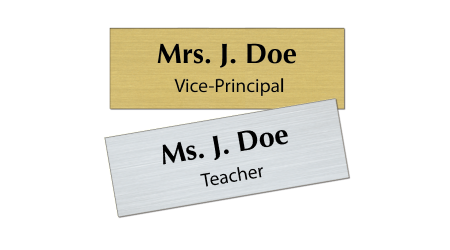 You have a choice of standard pin back or magnetic backing (most popular). 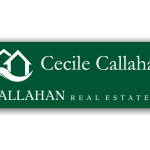 Choose your color and backing and then create your name pin using our product designer. 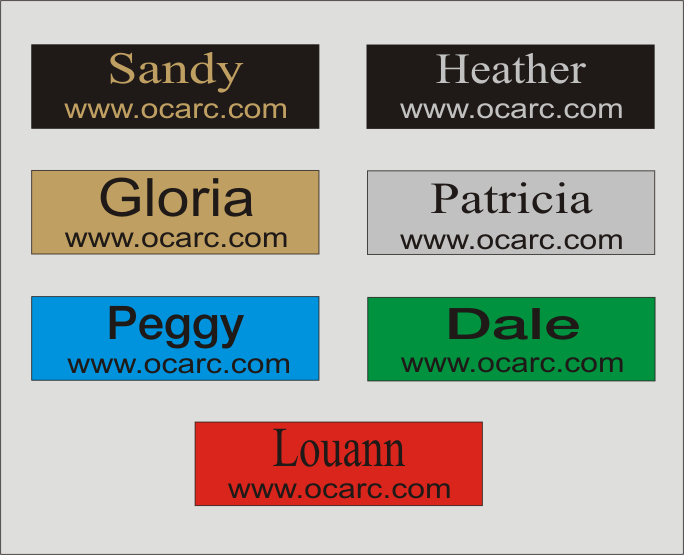 OCARC produces high quality metal and plastic name pins using both laser and diamond rotary engraving methods and can create custom setups to your specifications. If our online options do not support your needs, please contact us at 409-886-1363.